Growing asparagus in the home garden has been a “perennial favorite” since ancient Greek and Roman times, and humans have no doubt been eating the wild variety throughout history. The bad pun refers to the fact that unlike most other garden vegetables, asparagus is a perennial plant that comes back every year from the same rootstock. A single asparagus plant can provide an annual spring crop for 15-20 years, although it takes a lot of plants to provide enough for a family. A single mature plant (3 years and older) will produce about 1/3 to ½ pound of asparagus spears per year. Figure out how much you want to eat, and temper that with how much space you can dedicate as a permanent asparagus bed. I don’t generally make specific varietal recommendations on this site, because what you grow depends on where you live and your personal tastes. Check the seed catalogs or your local nursery for live first-year crowns. Asparagus is a “monoecious” plant, meaning that each plant will be either male or female. Female plants expend a lot of energy producing seeds, and so do not have as much energy left over in fall to produce spears the following spring. There are now hybrid, all-male varieties available in the seed catalogs and from better nurseries. For maximum yield, choose these all-male varieties, or cull out the female plants (which make red berries in late summer) from the bed when you can determine which ones they are. Plant Seeds: Don’t. Starting from seed takes 3-4 years to first harvest. Start with 1-year old crowns instead. Plant Out: Plant crowns 5-6” deep after soil has warmed to at least 50°F. Spacing: If rows, plant crowns 18” apart in rows 5’ apart. If beds, plant on 18” centers. Type of soil: Well-weeded, well-drained, loose soil, prefers pH 6.5 to 7.5, never below 6. 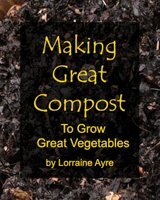 Nutrition: Lots of compost and some bone meal when first planting, then compost annually. Harvest: First year: don’t harvest any. Second year: harvest all spears that reach 7” for 3 weeks. Third year and beyond: harvest all spears that reach 7” for 6-8 weeks. Special Info: Since it is a perennial, make sure bed is weed-free when planting. Mulch to discourage annual weeds, and weed by hand frequently as weed seeds sprout. Most home gardeners aren’t going to tweak the pH of their soil to suit one particular crop, but because asparagus is a perennial and you won’t be using that piece of ground in other crop rotations, you may want to amend the pH if the soil you will be using for growing asparagus is outside of a 6.5 to 7.5 range. Asparagus won’t grow below 6.0. When planting asparagus in a new bed (or row) it is very important to make sure that all perennial weeds are thoroughly removed before laying down the crowns. Once the growing asparagus has become well-established, weeding becomes difficult. You won’t be able to just dig out or till under any weeds on an annual basis, as you usually do with an annual bed. Asparagus needs “seasons” to be happy, as either a winter freeze or an annual drought. It doesn’t like places that stay mild and wet all year round because in these mild tropical places, asparagus never gets the message to retreat underground, which it needs to do in order to emerge as shoots the following year. As a perennial, asparagus requires some special care when planting. Read more here. 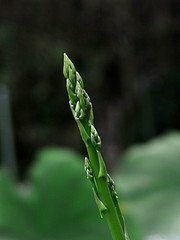 When and how much asparagus to harvest to provide for yourself as well as protect your plants. The #1 pest of asparagus comes in different colors and shapes, but the control measures are the same.